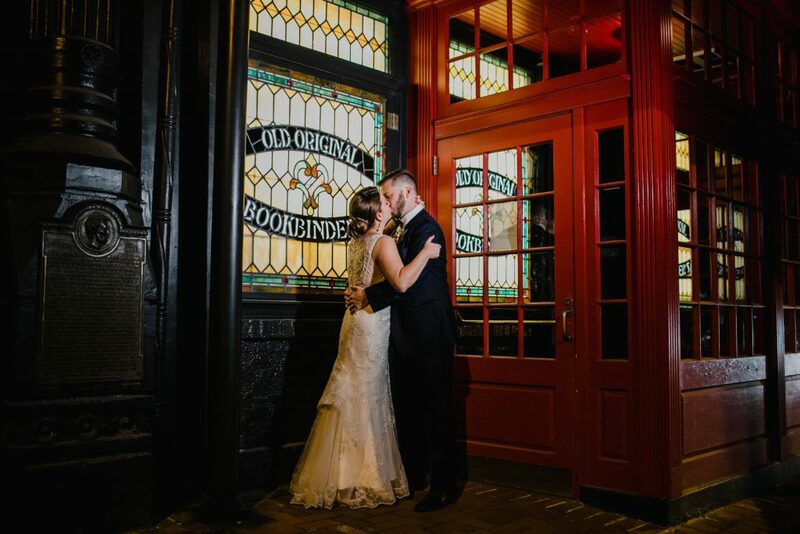 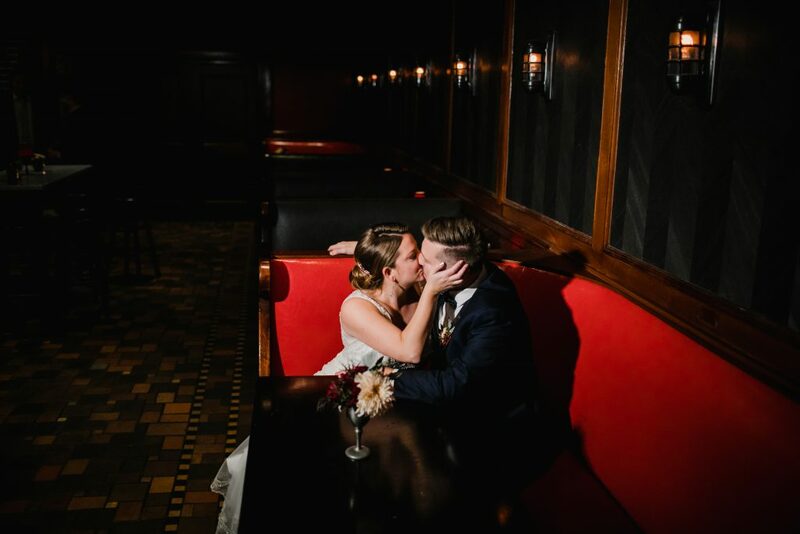 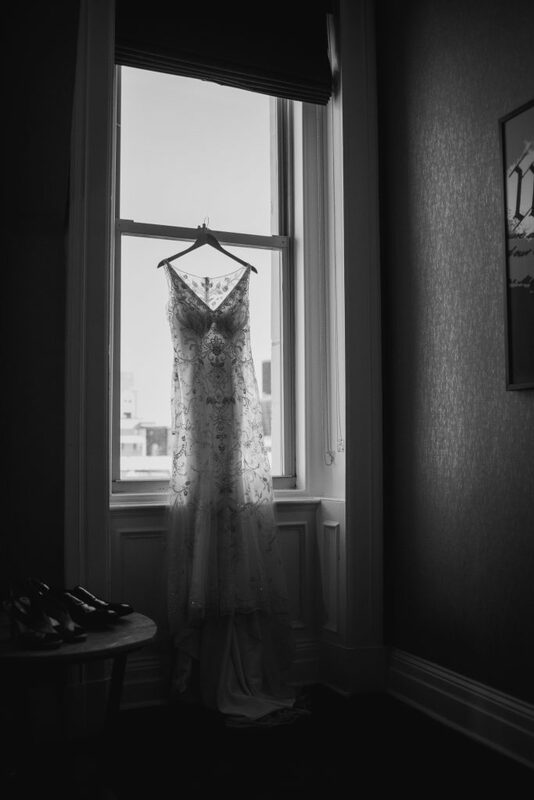 Rebecca and Josh were married at The Olde Bar in Old City Philadelphia. 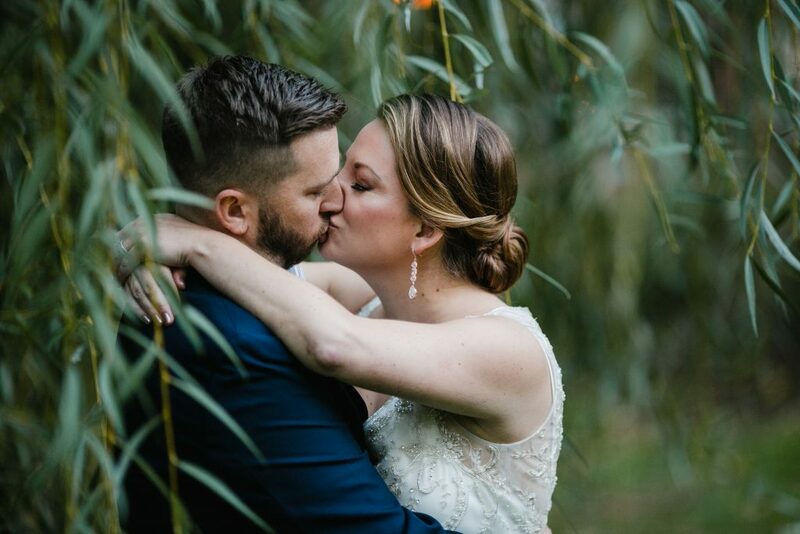 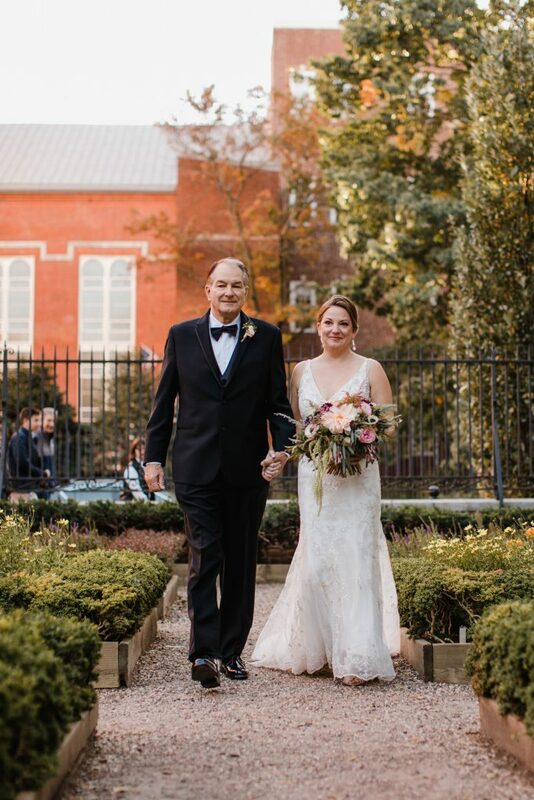 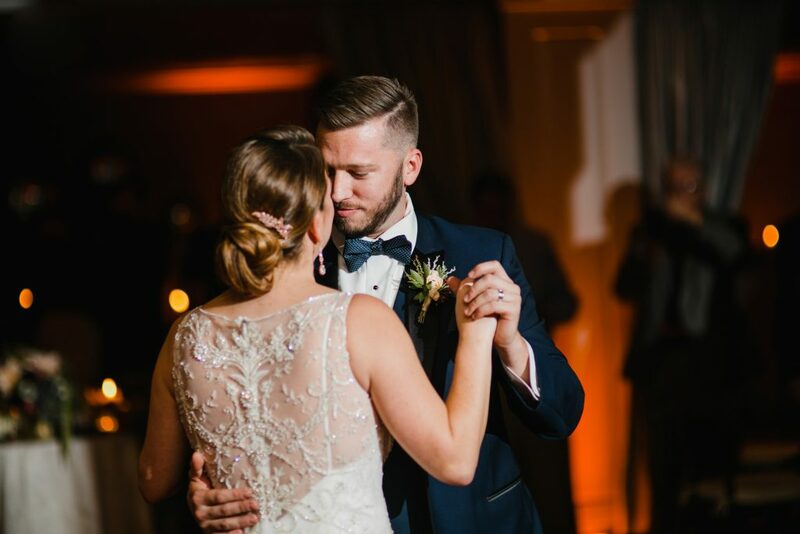 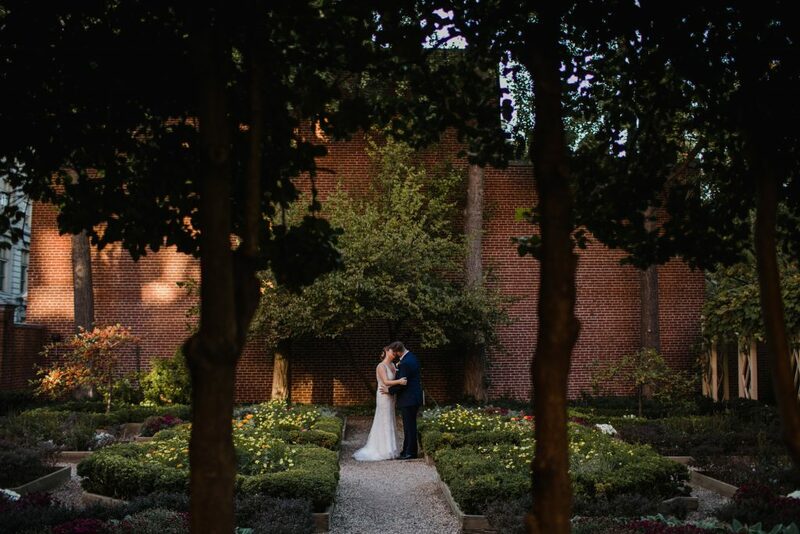 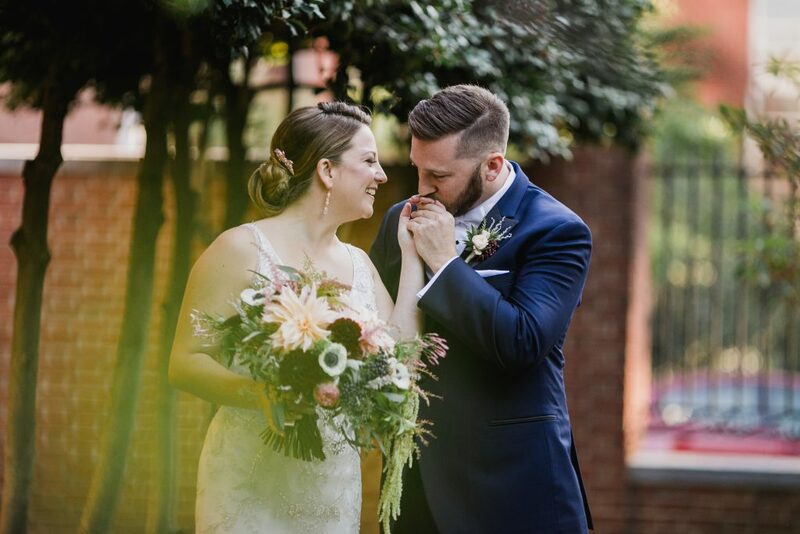 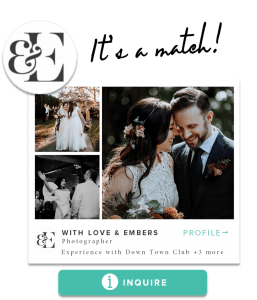 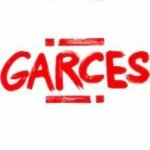 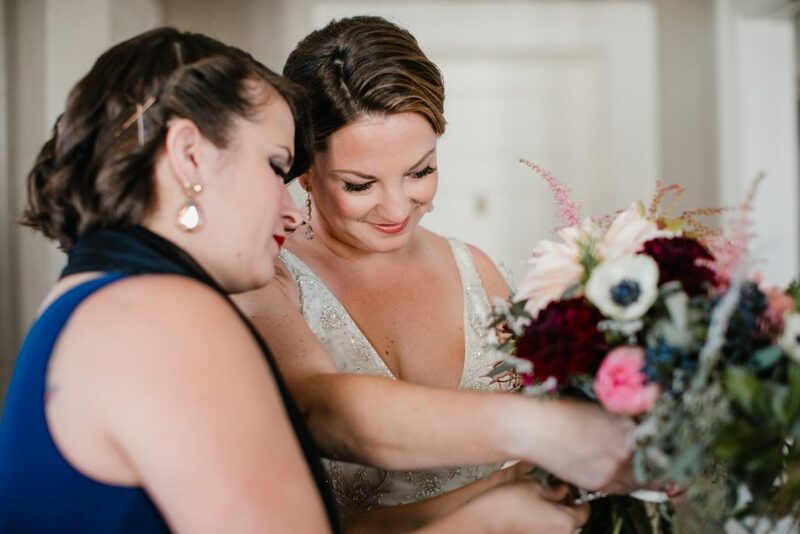 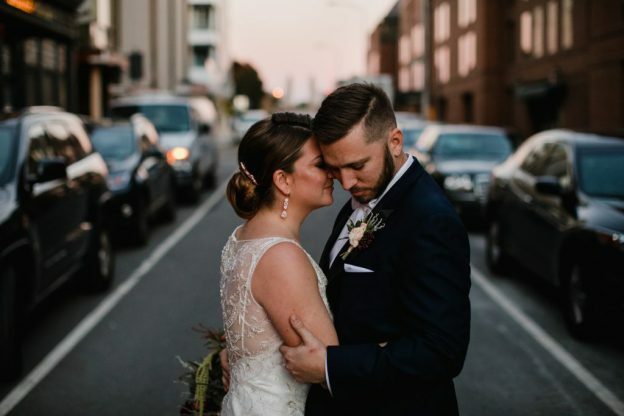 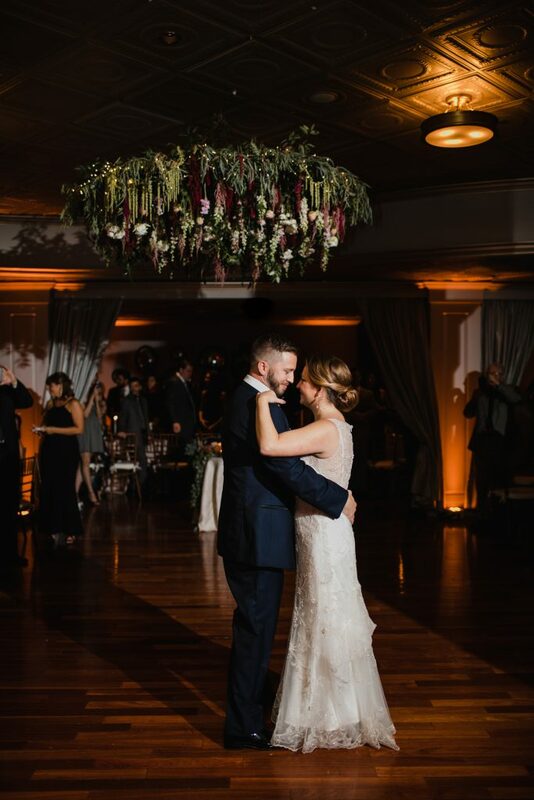 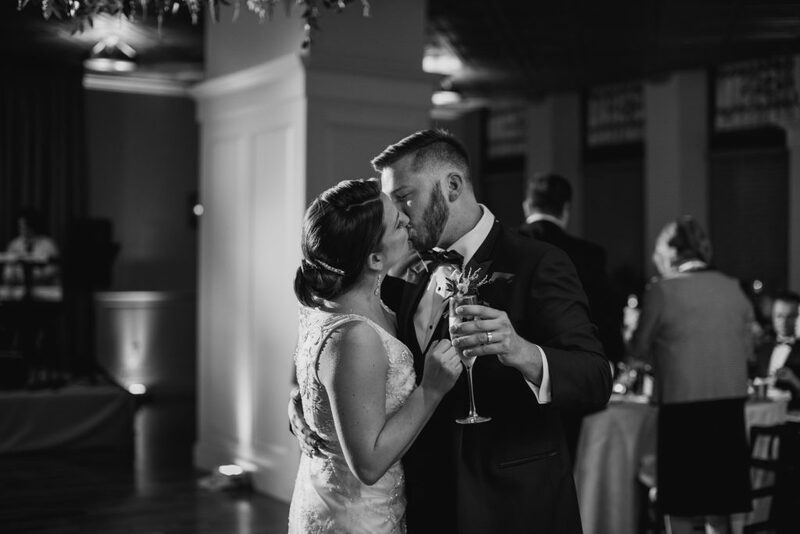 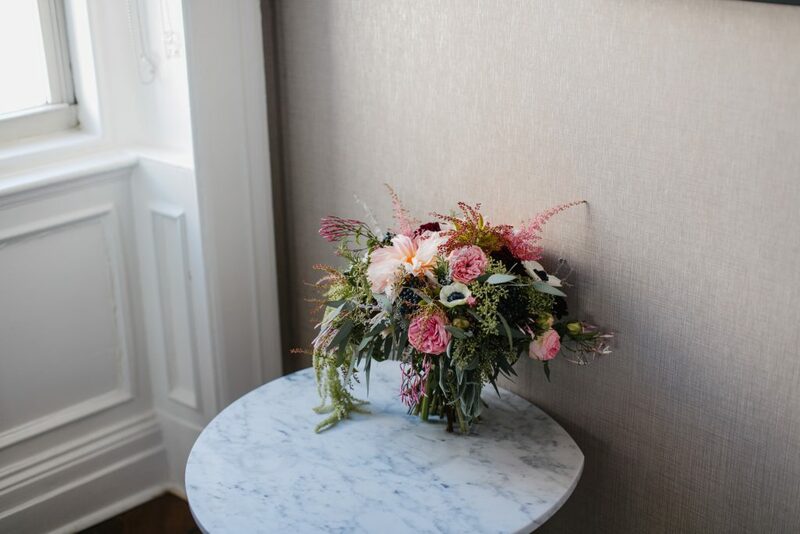 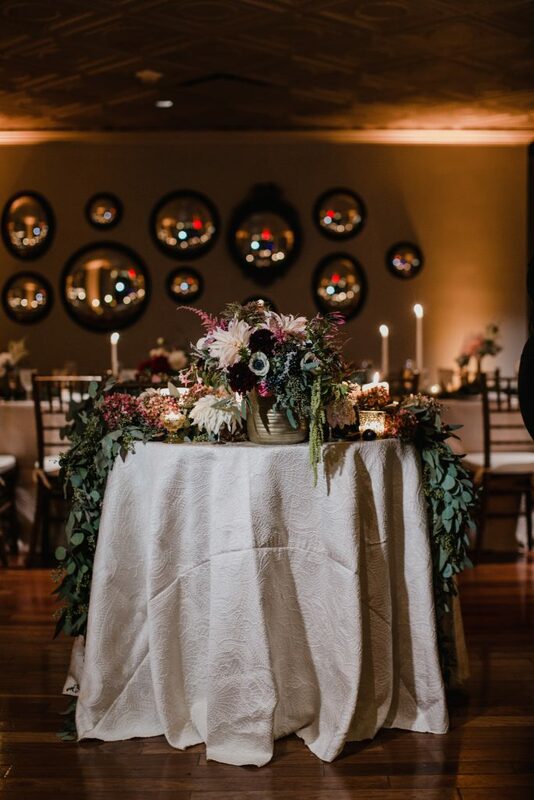 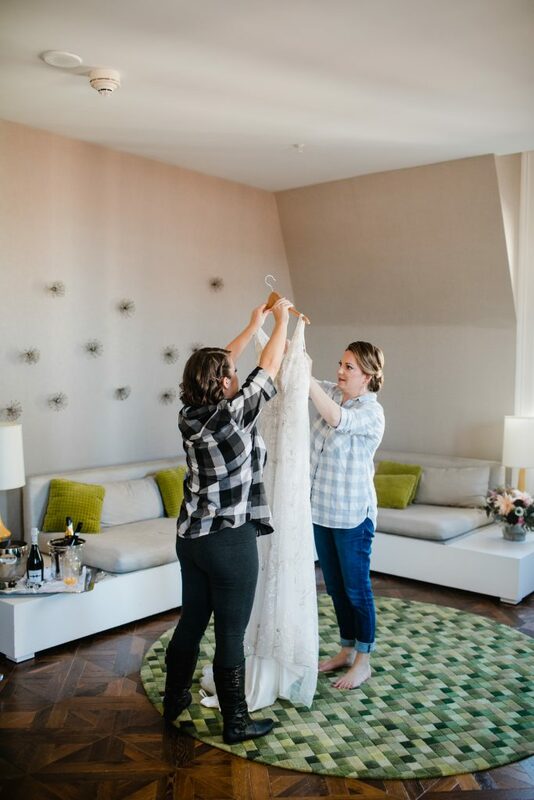 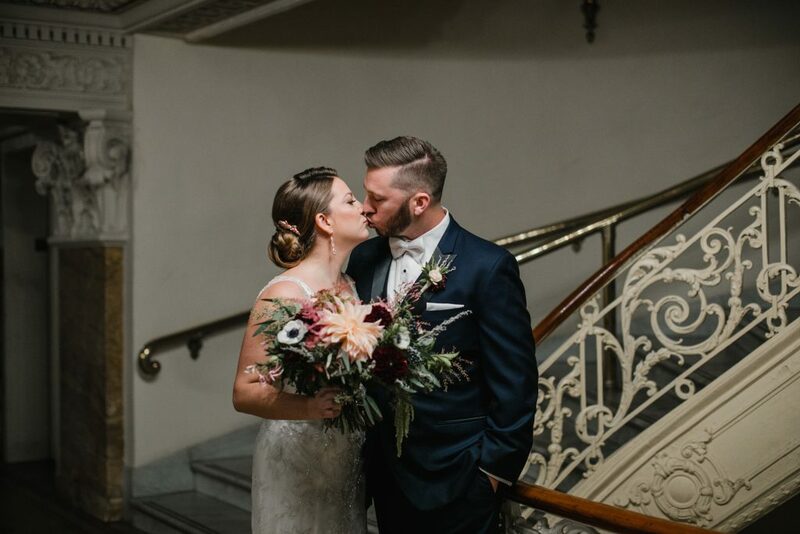 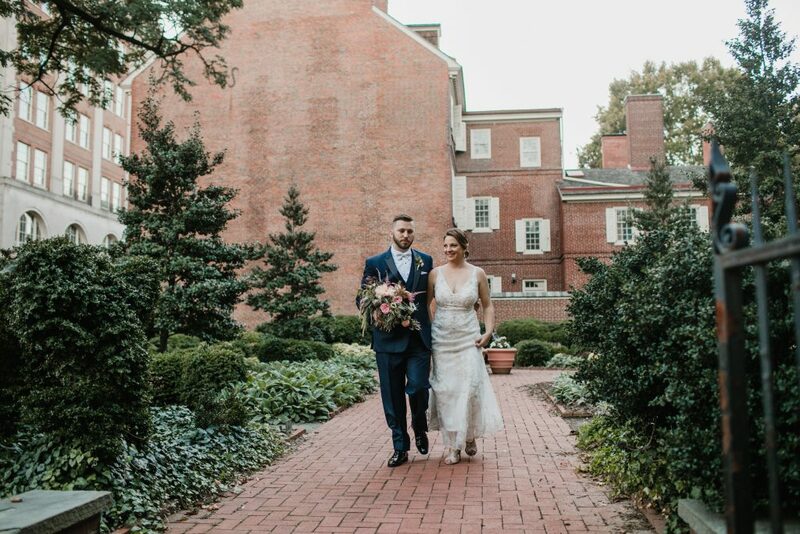 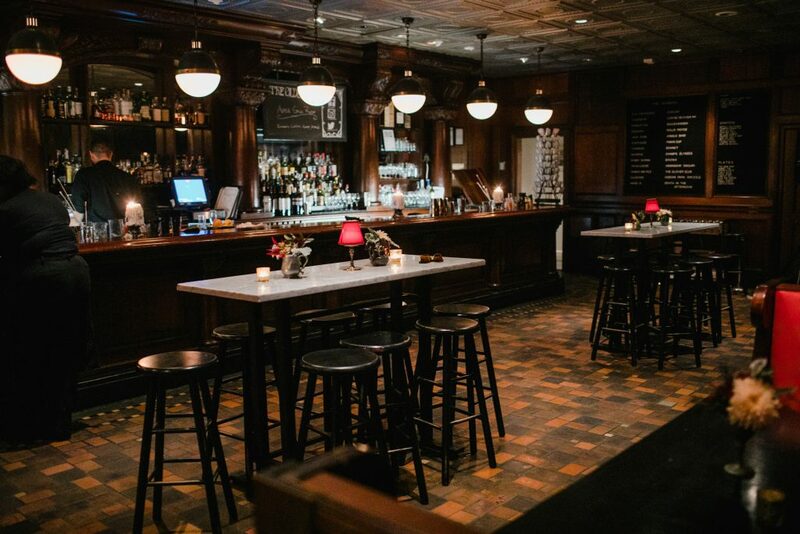 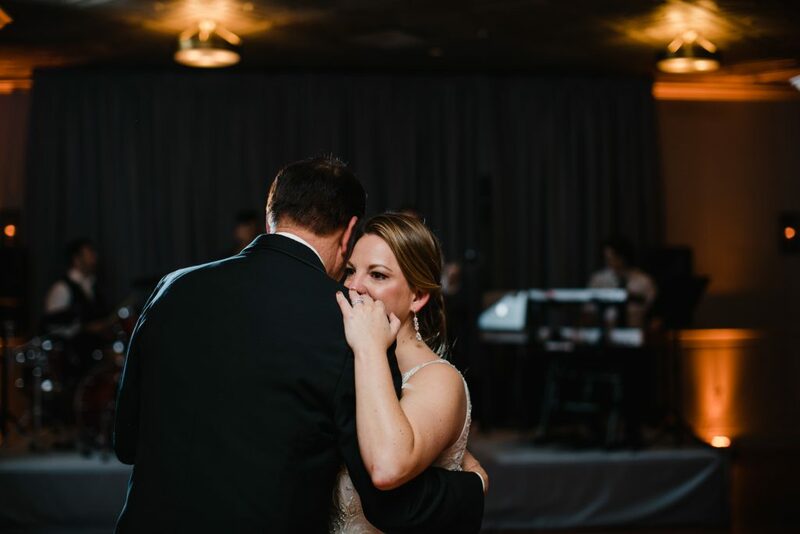 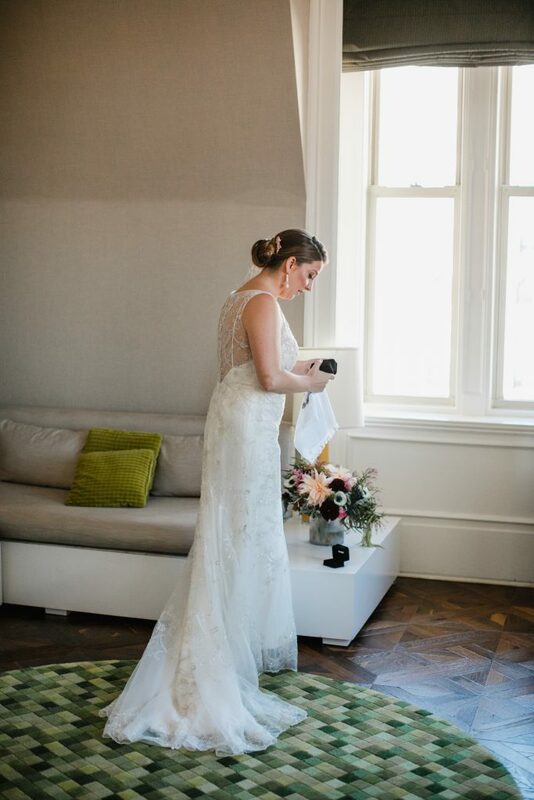 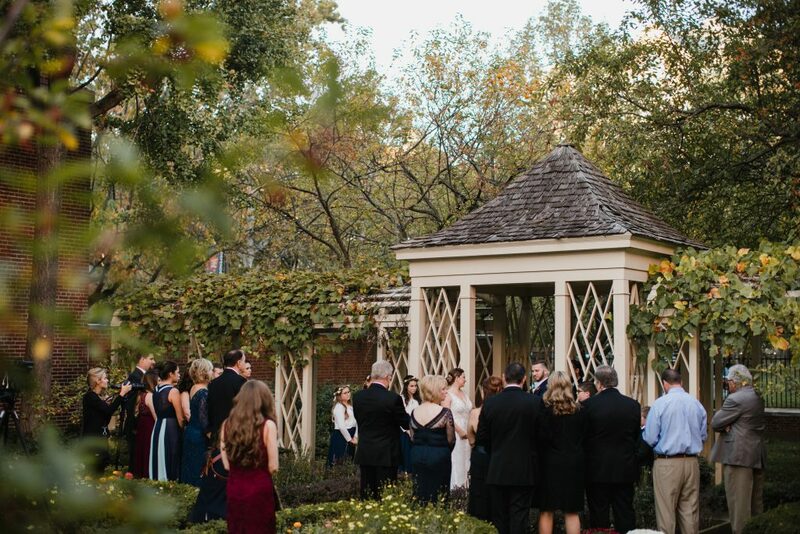 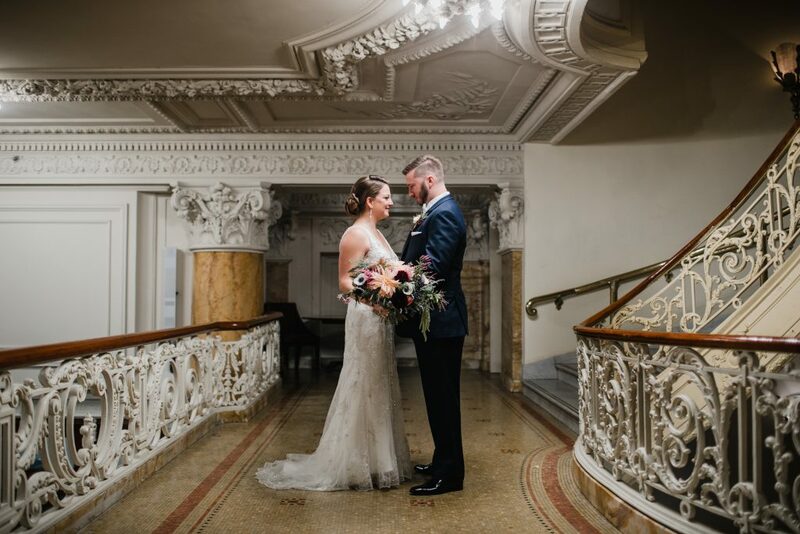 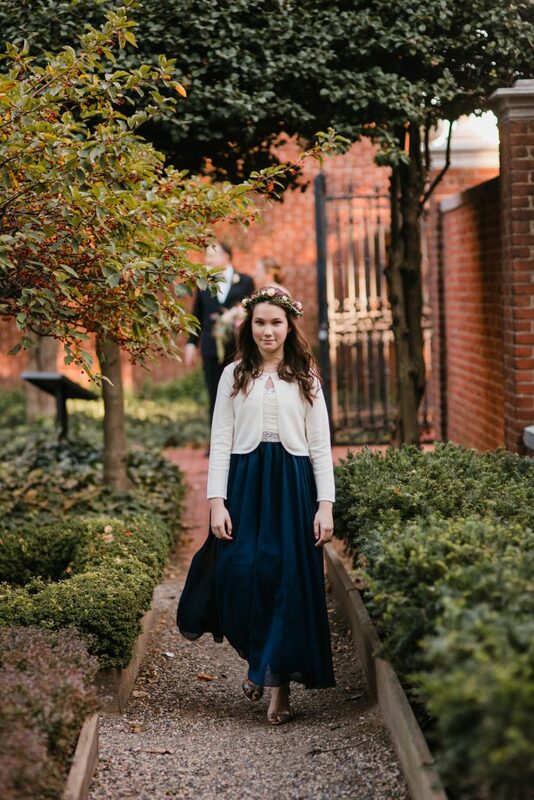 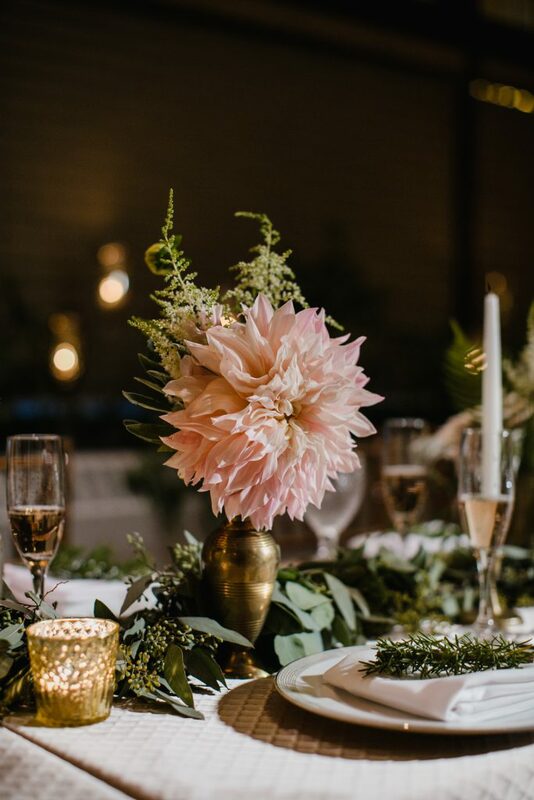 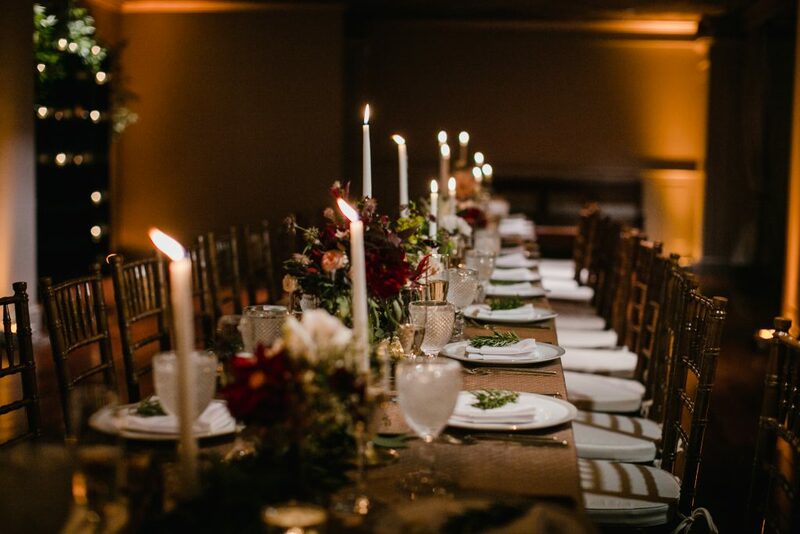 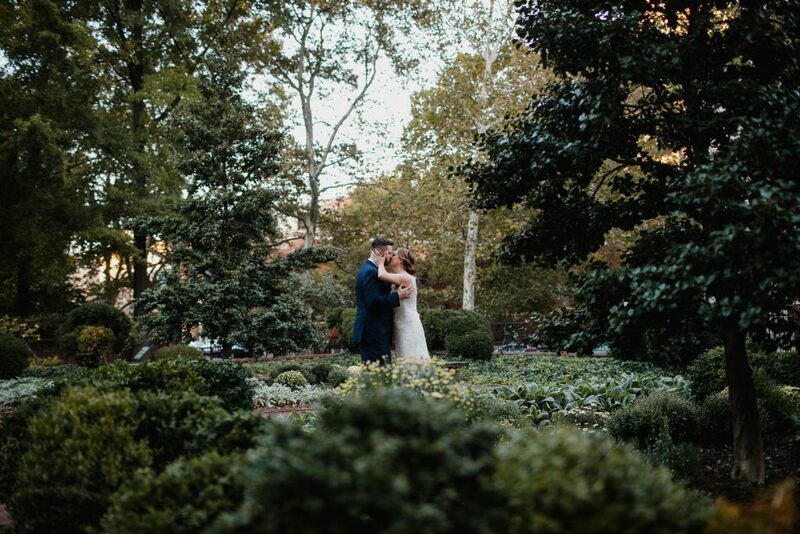 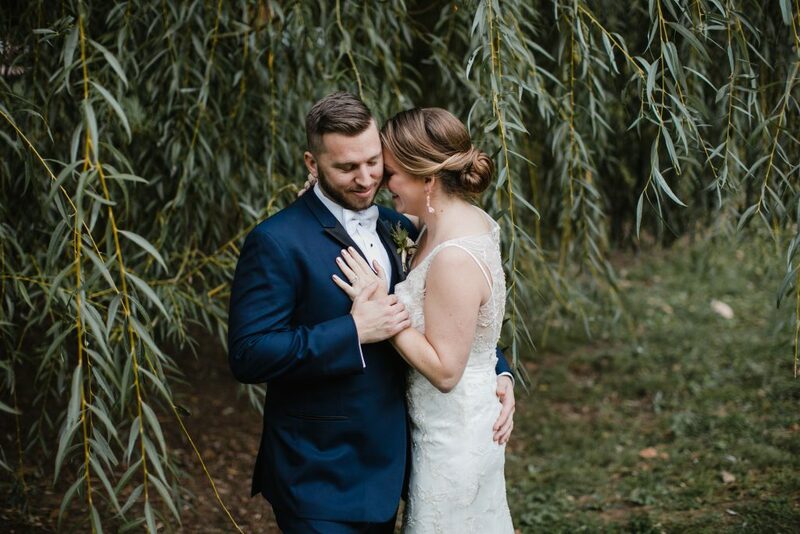 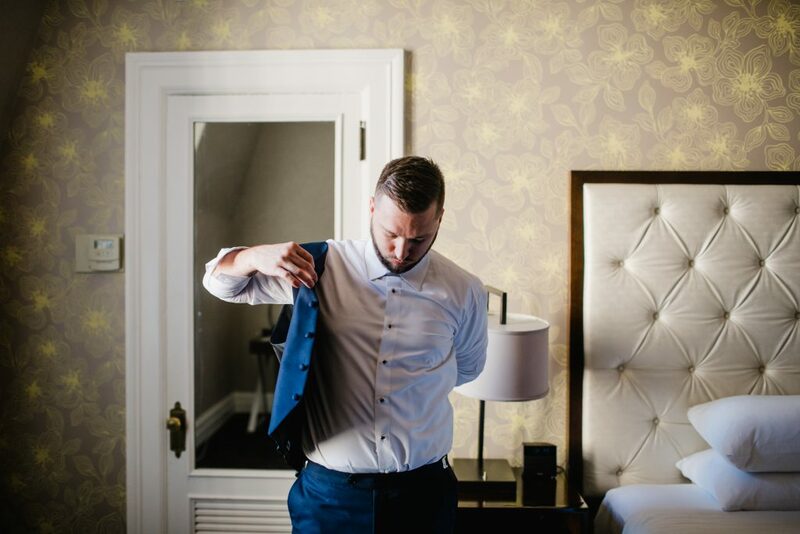 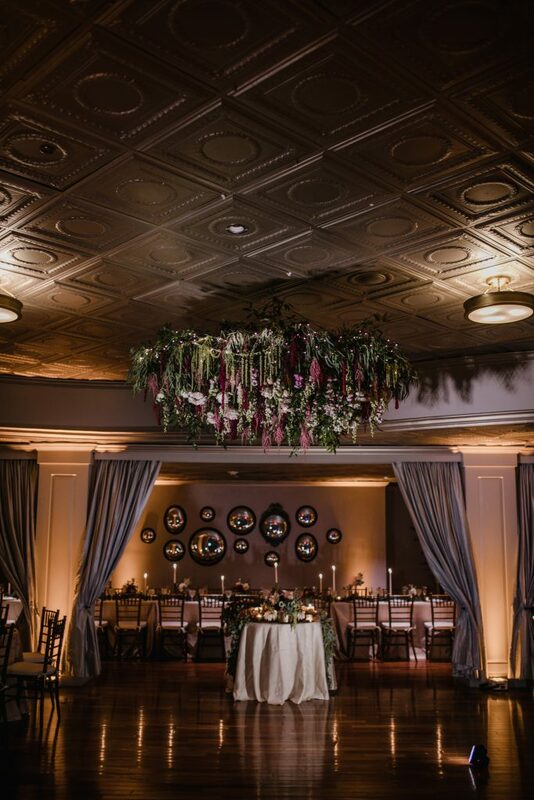 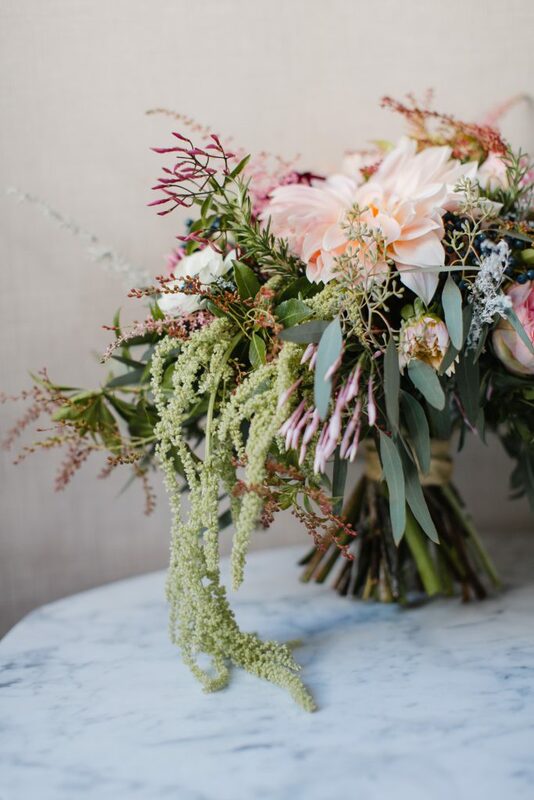 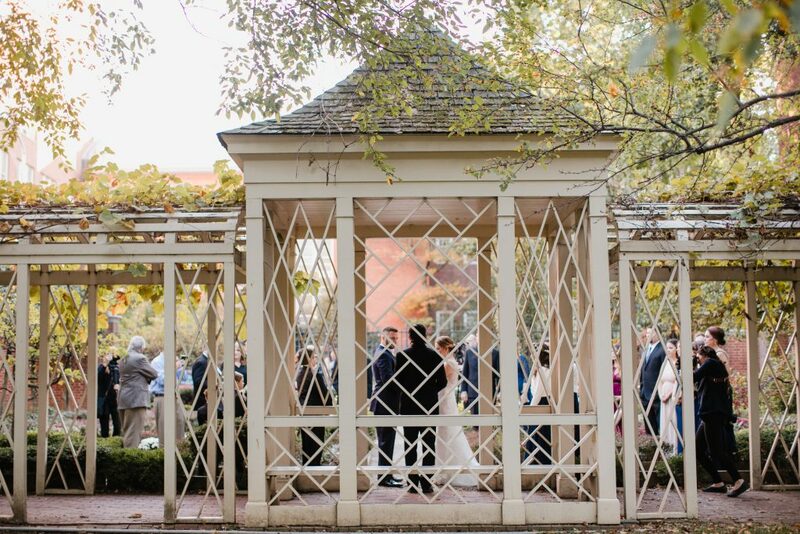 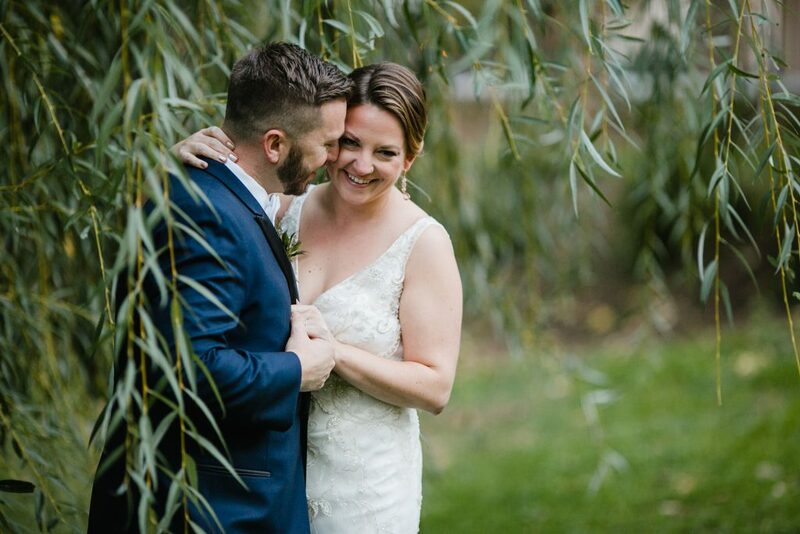 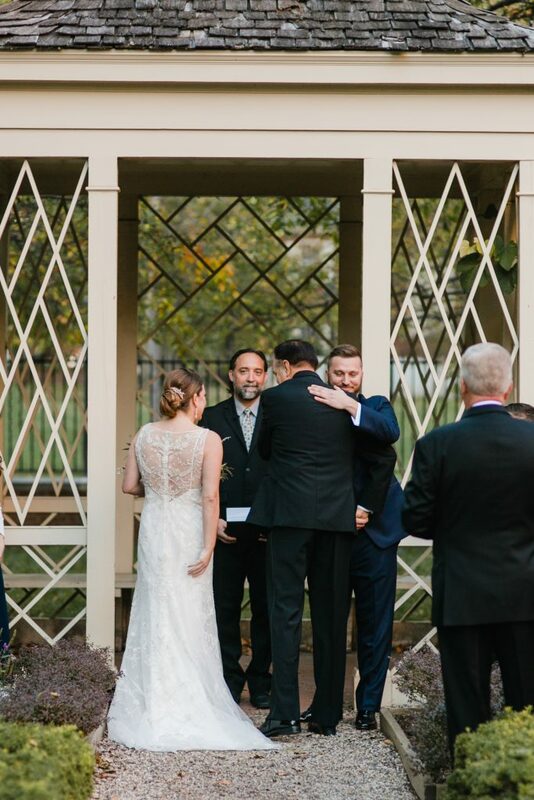 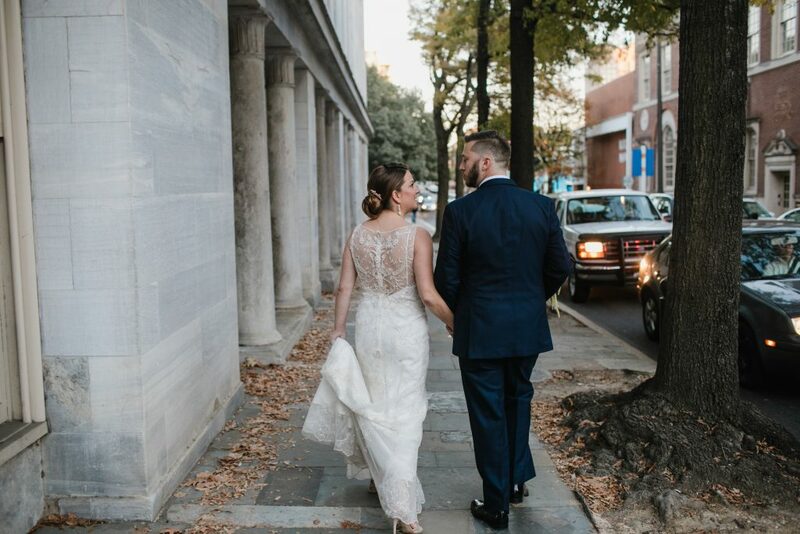 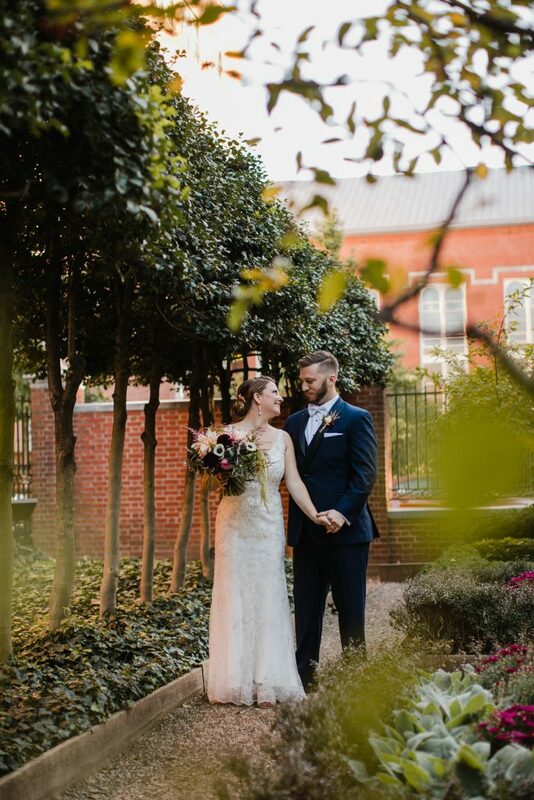 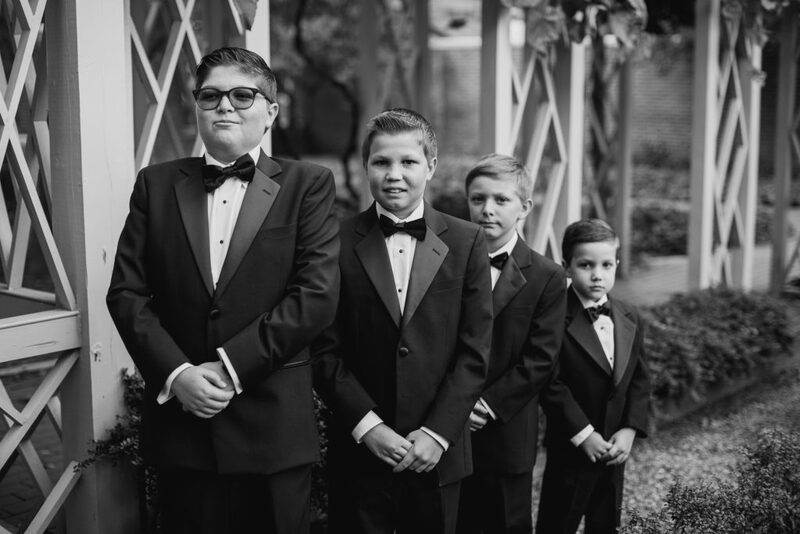 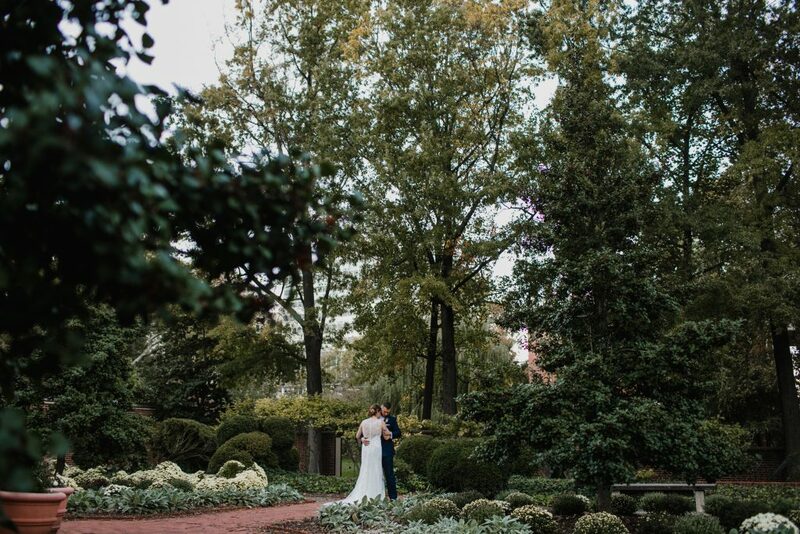 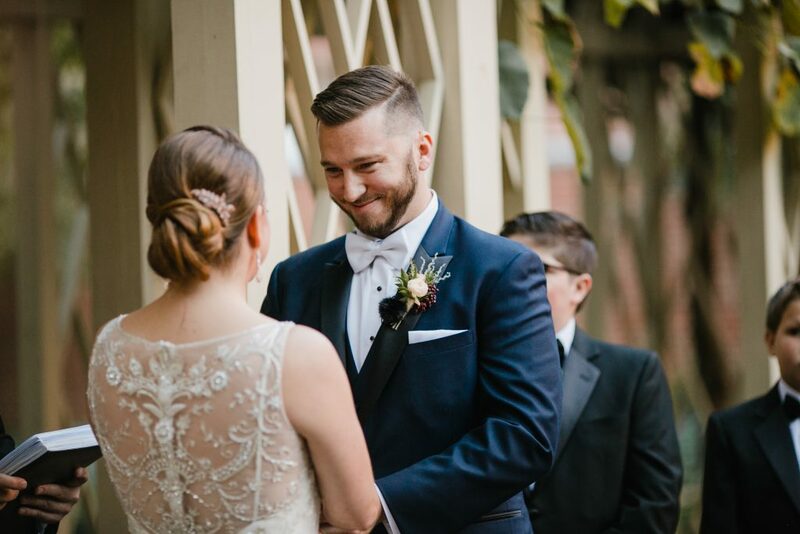 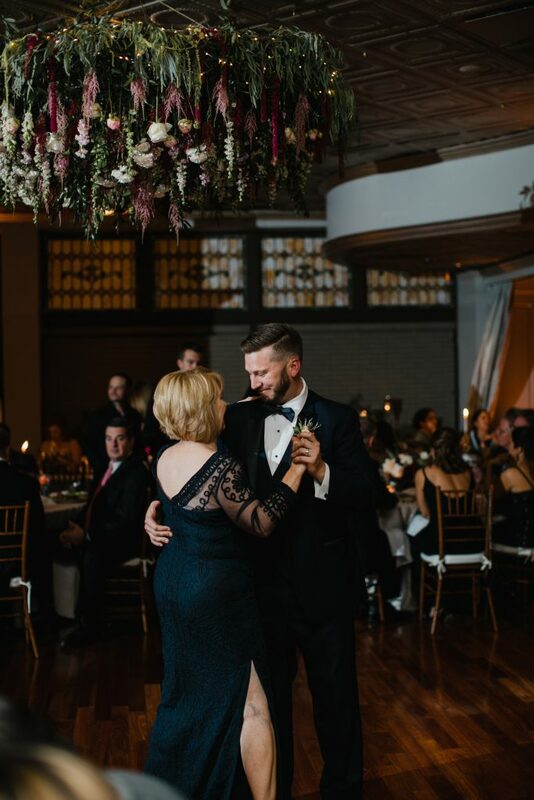 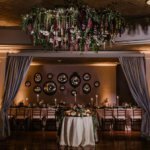 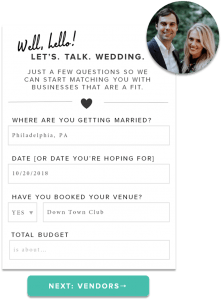 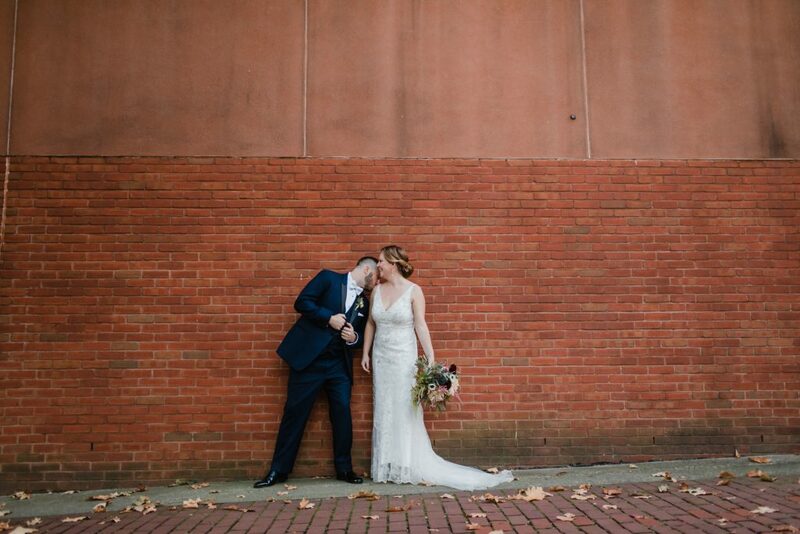 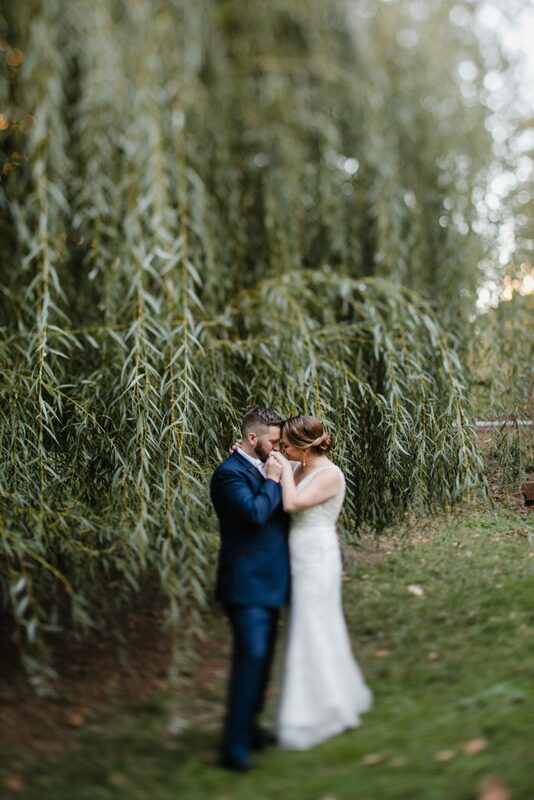 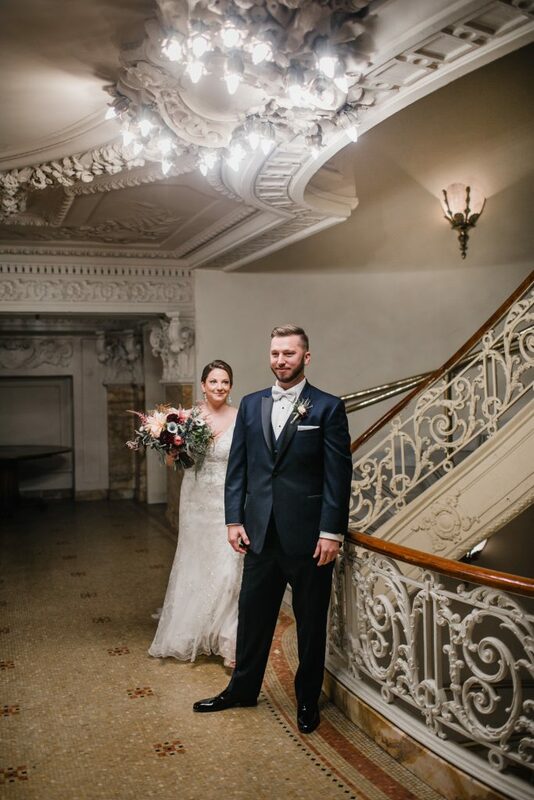 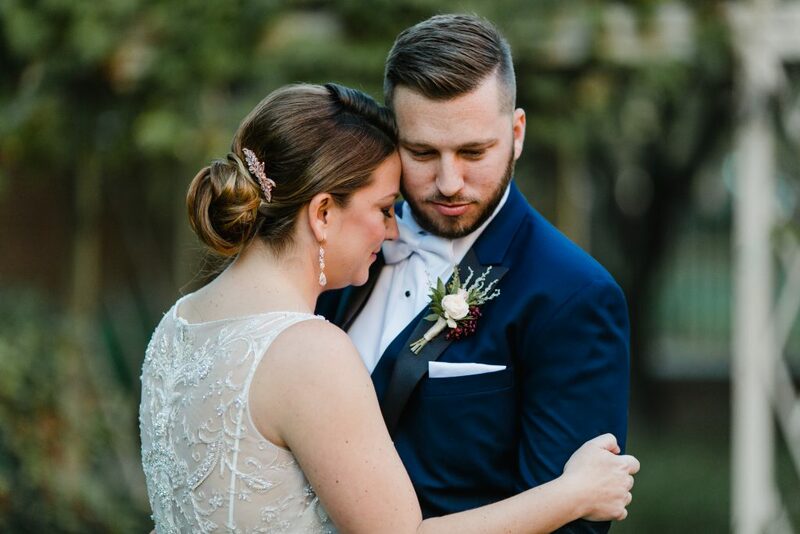 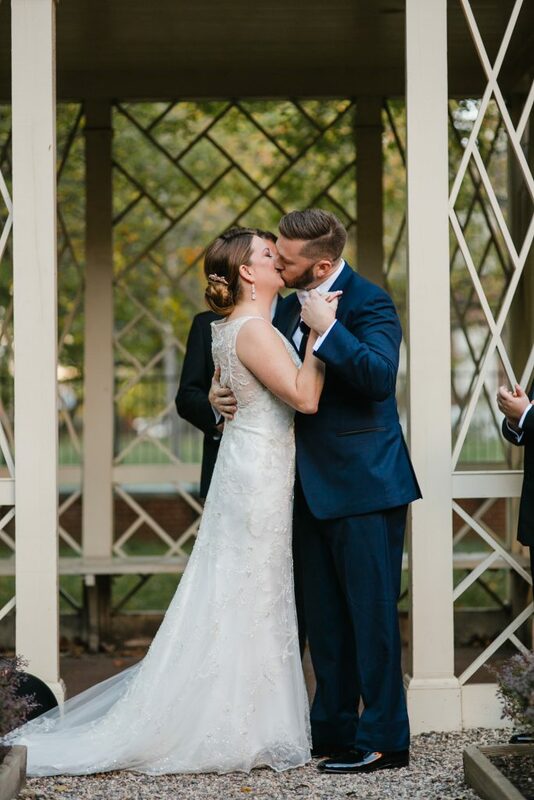 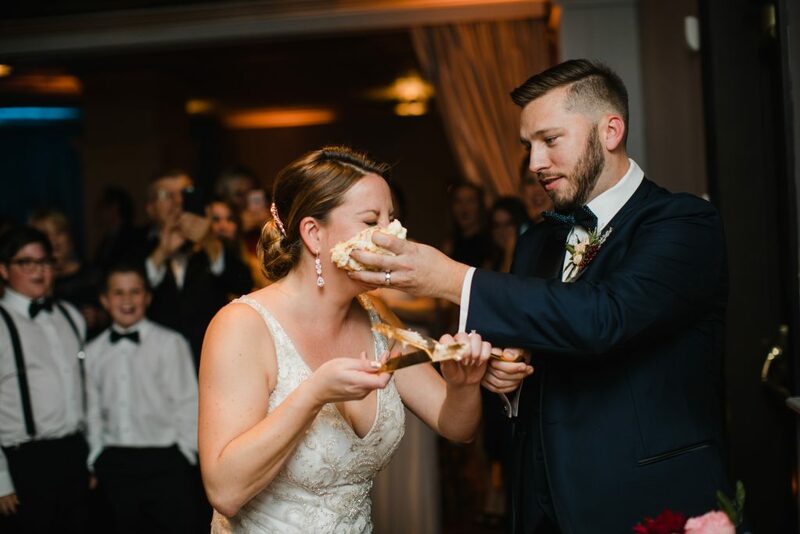 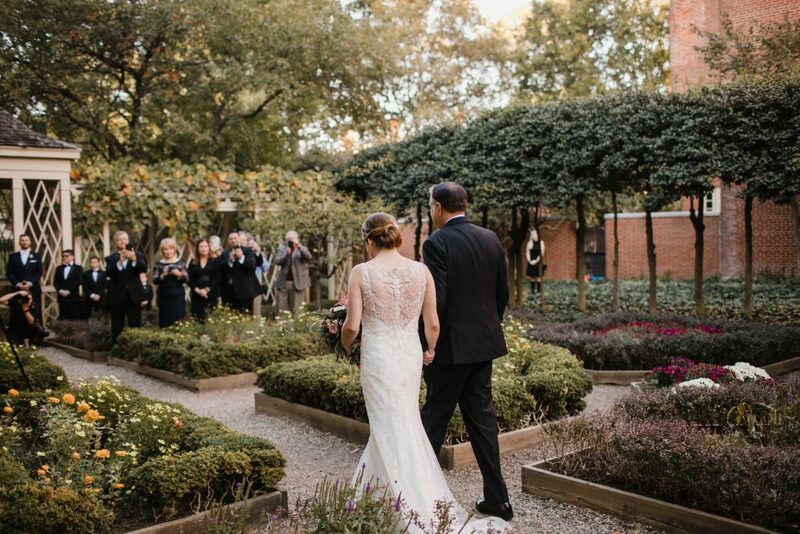 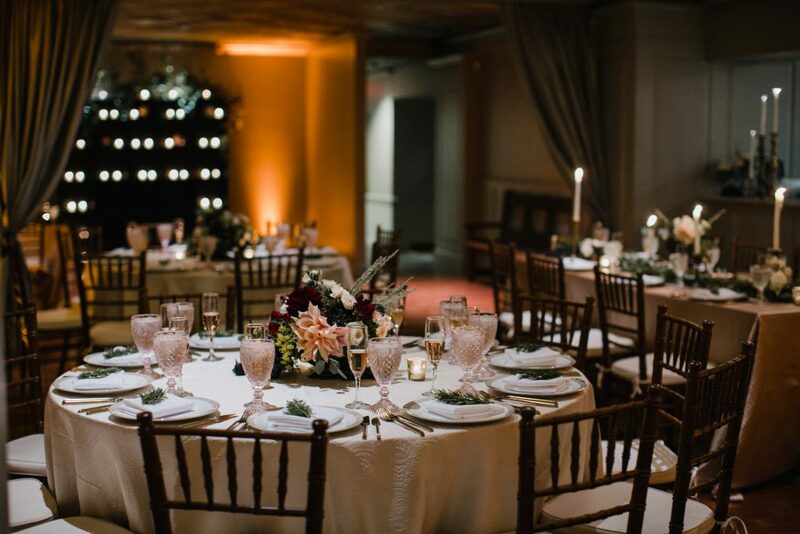 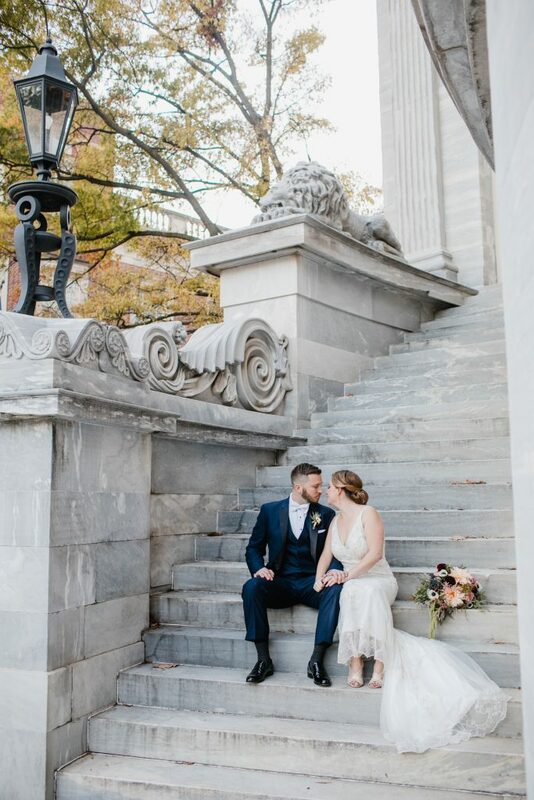 They had their ceremony in the 18th Century Garden near Independence Hall and dinner by Garces' Catering in the historic Bookbinders building. 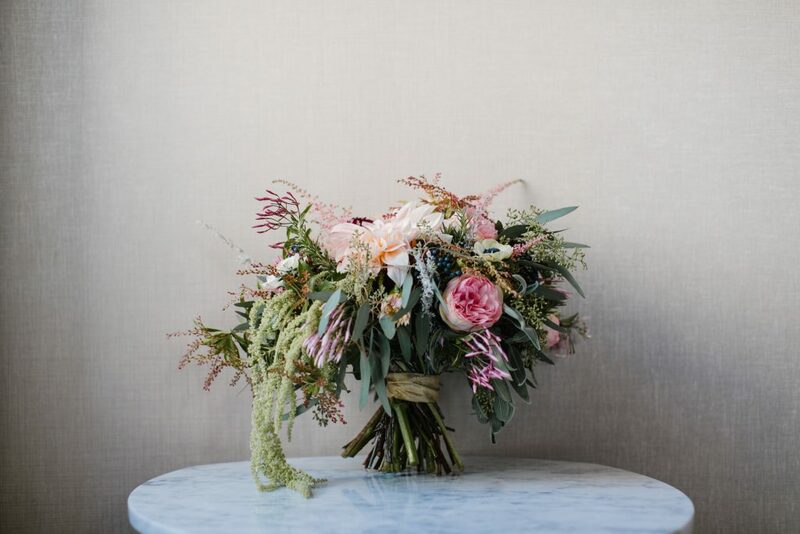 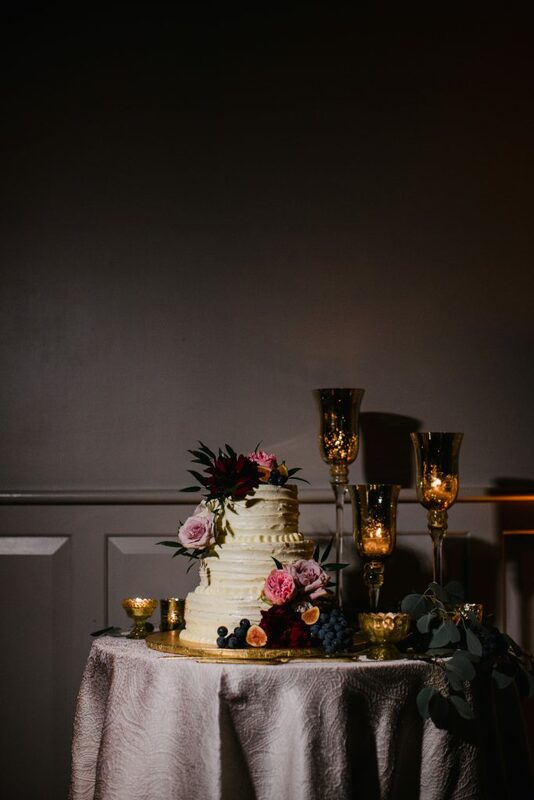 Flowers were designed by A Garden Party and the cake by Baked Pastry Shop. 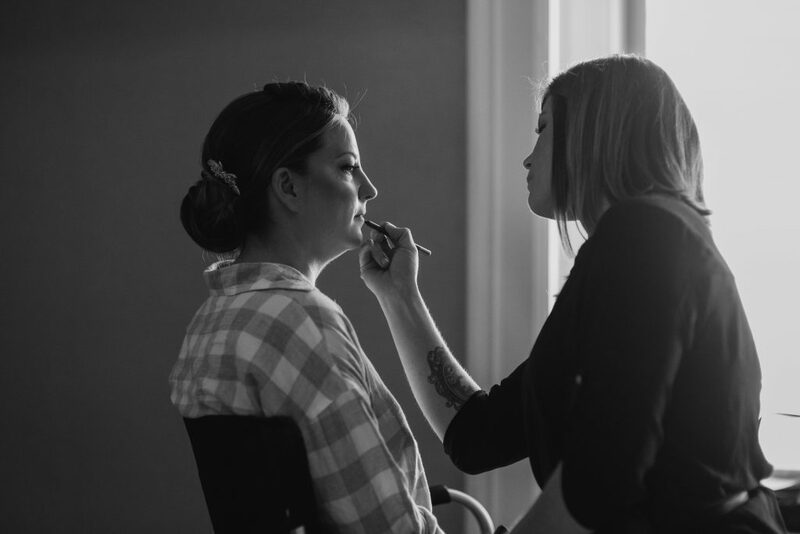 Rebecca's makeup was by True Beauty Marks. 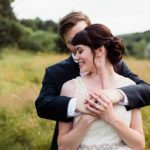 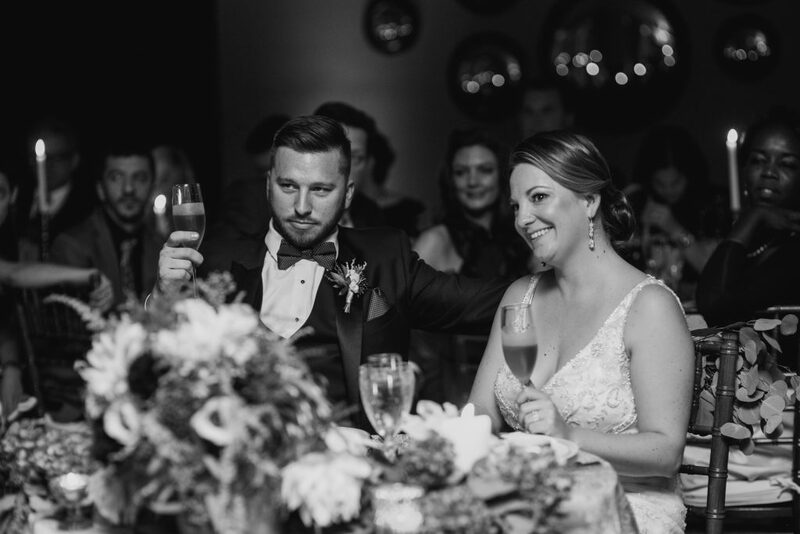 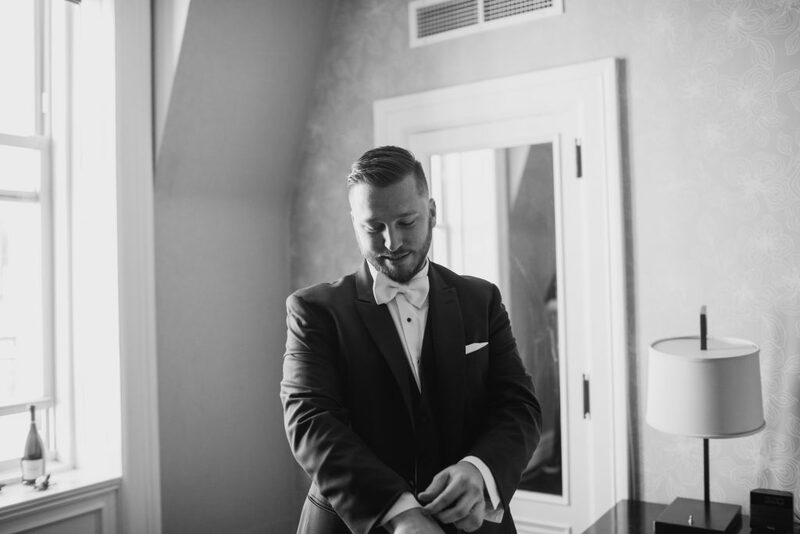 Josh, being a chef, curated his own menu for their wedding. 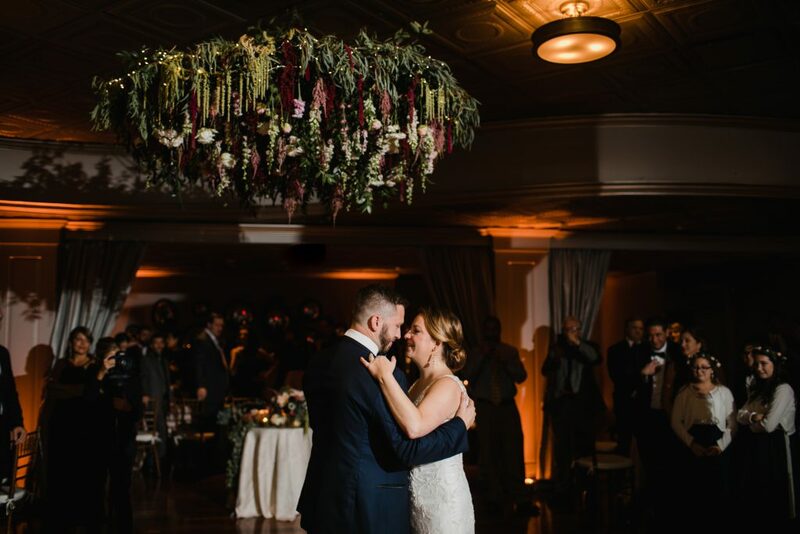 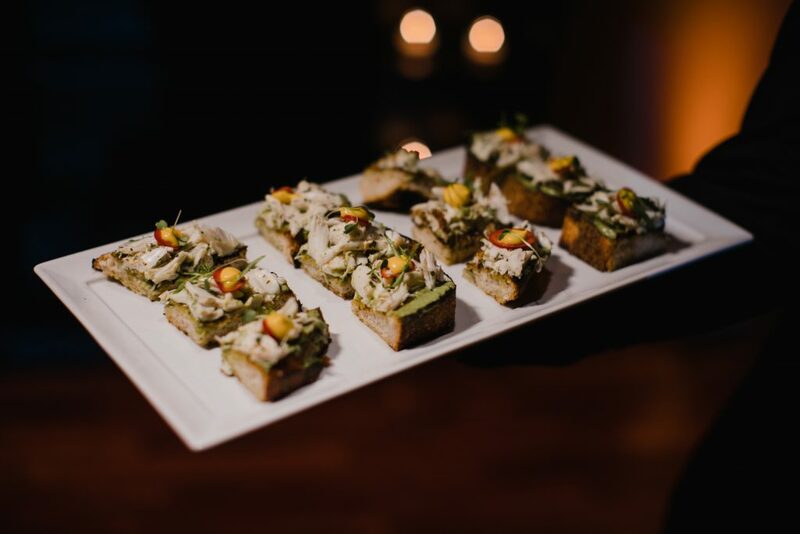 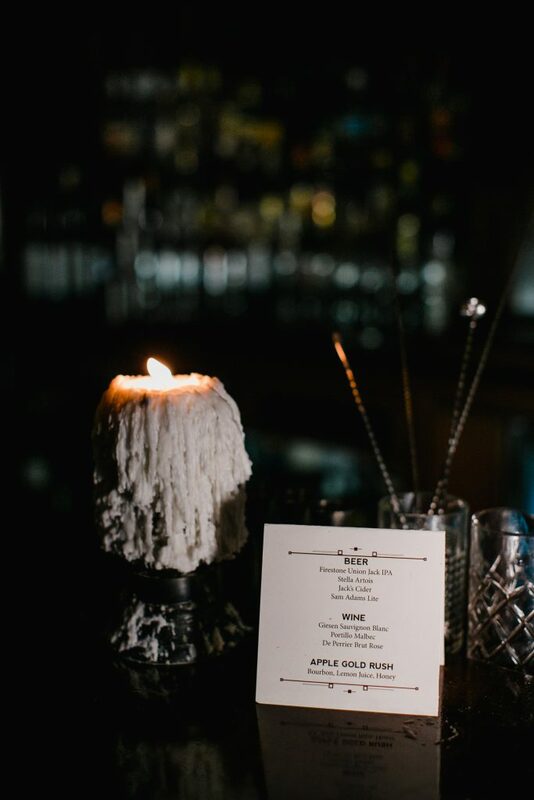 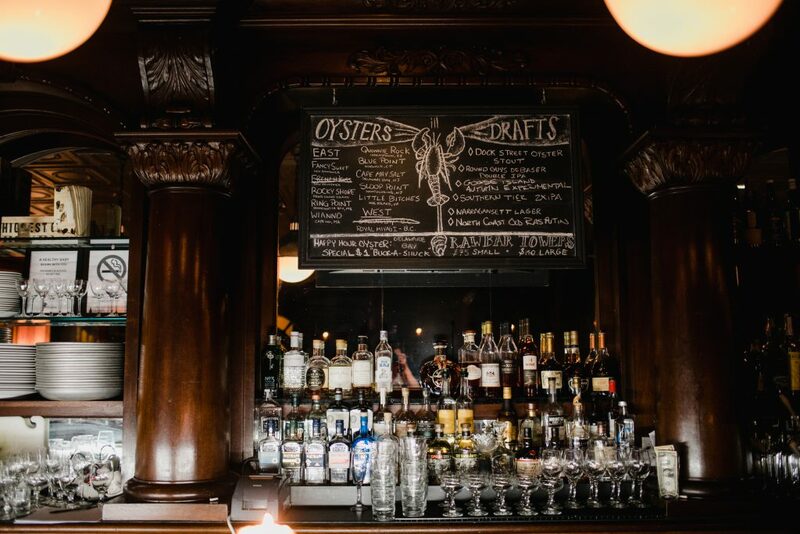 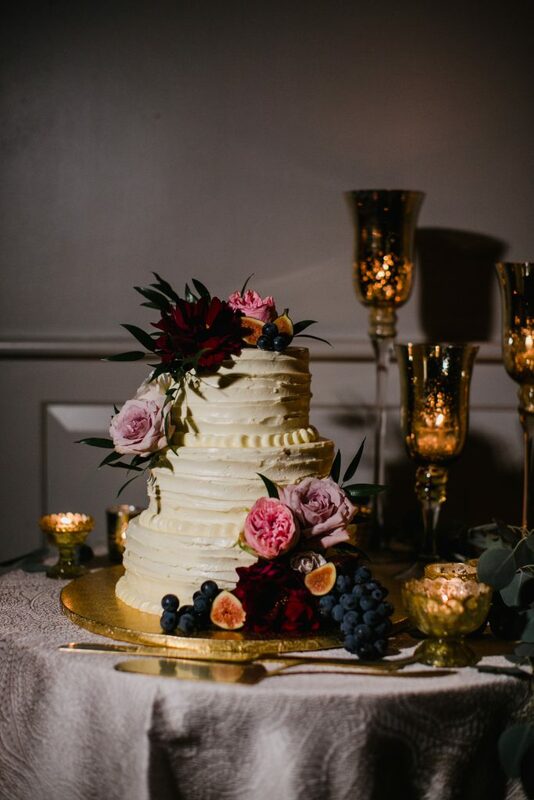 It was one of the best menus we've ever seen, only to be paired with the beautiful decor of the venue. 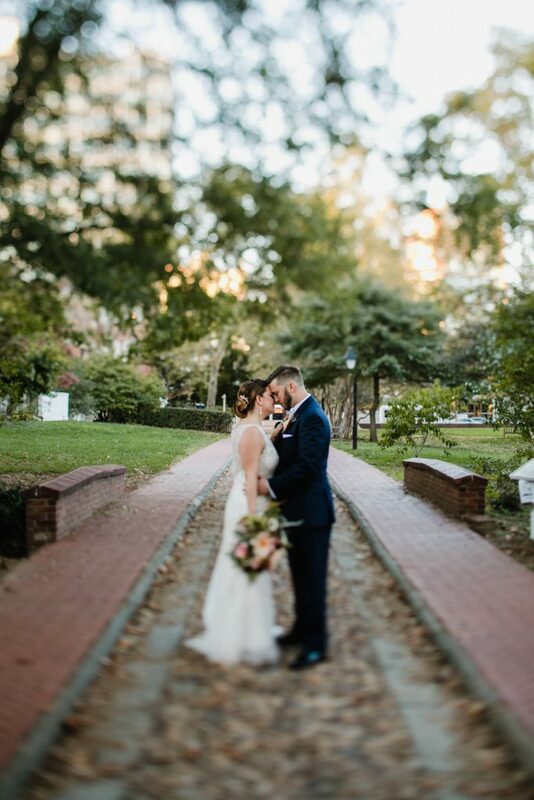 We loved spending the day with Becky and Josh and taking their photos all over Old City. 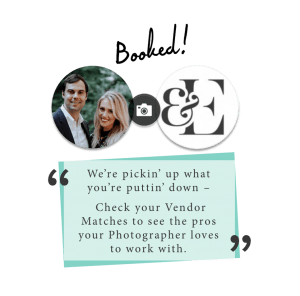 We also provided videography and a photobooth at the reception.